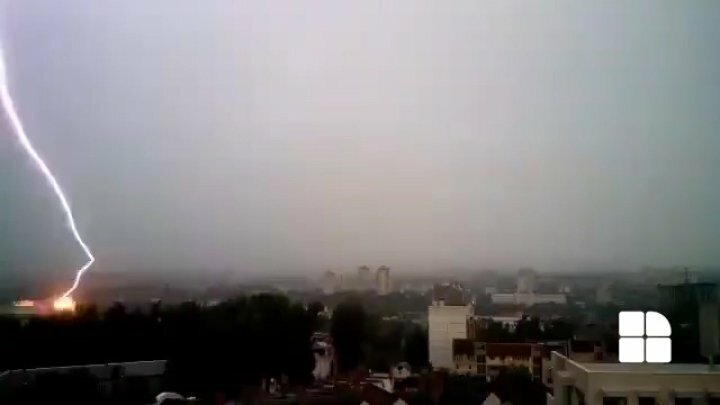 A lightning strike hit a block in the Capital during the afternoon heavy rain in Râşcani district of Chisinau. Asked by PUBLIKA.MD, IGSU press officer Liliana Puşcaşu said that no requests for firefighters have been made in this case. PUBLIKA.MD reminds that meteorologists have issued for the next two days the yellow warning of heavy rainfall with lightning. The warning has come into force today. A critical situation is predicted from today until June 30, 18:00, when the amount of rain could reach some 15-25 l / m2 in some regions in 12 hours.